Home > Publications > Belgian Defence in 2018: Regeneration time? Belgian Defence in 2018: Regeneration time? The Belgian defence budget for 2018 increases by a factor of 4.7 in commitment credits. 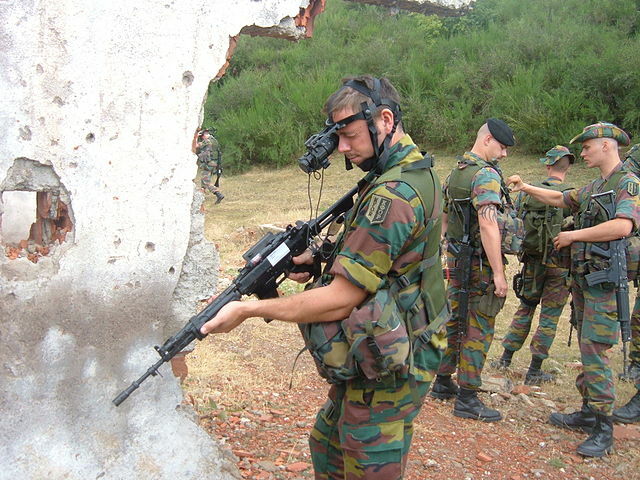 Not only does this allow for offsetting the significant investment shortfalls of the previous years, it also provides a window of opportunity for regenerating the Belgian armed forces with a view to meeting future challenges. This Security Policy Brief makes the case that the longawaited modernisation of the major weapon systems needs to go hand in hand with a significant recruitment effort to address the critical human resources situation the Ministry of Defence finds itself in. Yet adding up personnel and equipment, the 25,000-strong force structure outlined in the Strategic Vision still risks being insufficient for meeting future requirements as they emerge in both the national and the international context (NATO/EU). As such, defence planners will need to engage with the question how best to redevelop the force structure from this minimum baseline in function of how the strategic environment evolves. For strengthening Belgium’s national security and diplomatic position in the twenty-first century the present window of opportunity is not to be missed.